This book is in French and, I don’t think it will ever be translated in english – my personal opinion of course. That’s a shame! 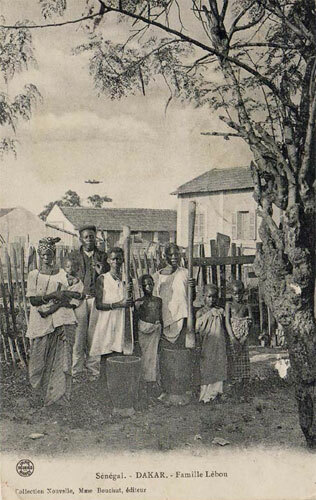 Such a beautiful story about one of the oldest ethnic group of Senegal – The Lebus. I will not discuss the book in great details, but I will, however briefly comment on some interesting elements. For those who are interested in my review in french, I will published it on Under The Neem Tree Senegal, when it launches in 2014. (Follow me on Facebook to know the exact launch date in January). Rahmatou Seck Samb is from the city of Bargny, Senegal. Born April 10, 1953, she married at nineteen years, a United Nations officer whom she accompanied for twenty-five years in his various positions Station around the world: Geneva, Athens, New York, Kinshasa, Bujumbura, Conakry, Ouagadougou and Addis Ababa. The latter city, Ethiopia has inspired her début-novel entitled “A l’ombre du Negis Rouge”. Rahmatou Seck Samb holds a degree in Law and a Masters in Development Economics. She is the mother of three children. Back to Senegal, she devoted herself to her family and writing. From the baobab to the Saguaro is her second novel. 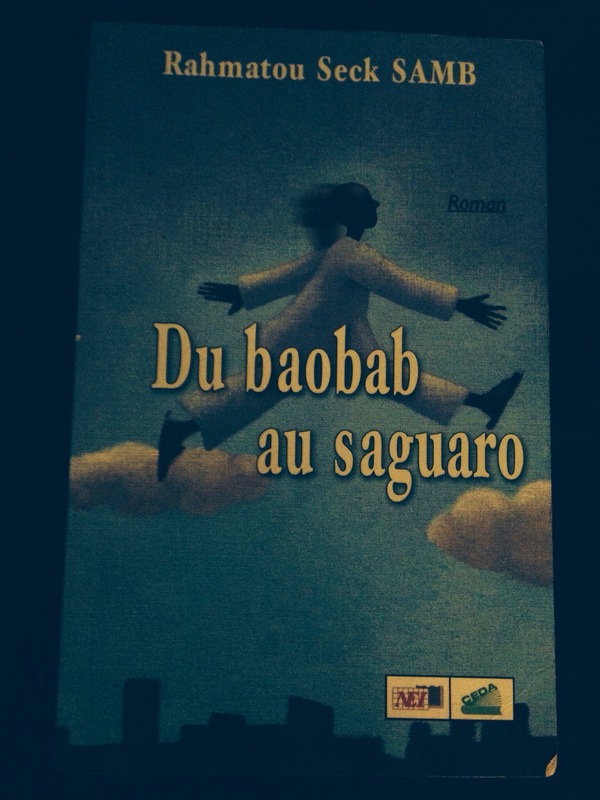 Rahmatou Seck Samb published her second novel, loosely translated as “From the Baobab to the Saguaro”. The book pays tribute to the memory of a lost brother and enhances the tradition of her native city – Bargny. Basically, the title refers to the migration of her brother from Senegal to the United States where he, unfortunately, died at age 35. Baobab and Saguro are both very old trees, the former grows in Africa and the latter grows in Arizona (USA). The book is a family album, a series of characters, dead or alive, all Seckeen ( from the Seck Family).Ms Seck talks about her family, her native city, people who crossed her childhood and her adult life in a very poetic and beautiful language. This novel has an autobiographical flavour. While the subject matter is her late brother, we end up learning a lot about the author’s own coming-of-age in colonial/post-colonial Senegal. I usually don’t comment on the literary style of books. First of all, I am not in literature – I am in Finance – it wouldn’t make sense for me to “review” the literary style of a book. However, I must speak about this one here, I was so mesmerized by her poetic description of her native city and her family. The only world I could think of to describe the work is beautiful. I should also mentioned that I am not into poetry at all. I can’t remember the last time, I read a poetry book, probably in primary school. A story about the “Lebus”, how can I not love it? Let me give you some background information on this very important ethnic group. Traditionally fishermen, but also farmers, they are concentrated in the peninsula of Cape Verde (Dakar) they were already occupying the area, when the first settlers arrived in the region.mThey speak the Wolof language which is originally the language of the Lebus and not of the Wolof – a common held belief. They are now predominantly Muslims, but retained practices from their traditional religion. (Source: Wikipedia and myself). If you read in french, I recommend you this very powerful read. And if you are from Senegal, this is definitely a must-read for you.